Fraco Office Manager Missy Bengry goes over some plans with Joe Burdick, Fraco’s Flooring Salesman. Fraco Inc. is the Upper Peninsula’s leading supplier for concrete block, redi-mix, tile, flooring, landscaping products and masonry supplies but it is not just for contractors with big projects. With more than 70 years in business, Fraco offers great selection and price to those doing huge projects or those doing a little work on their home. 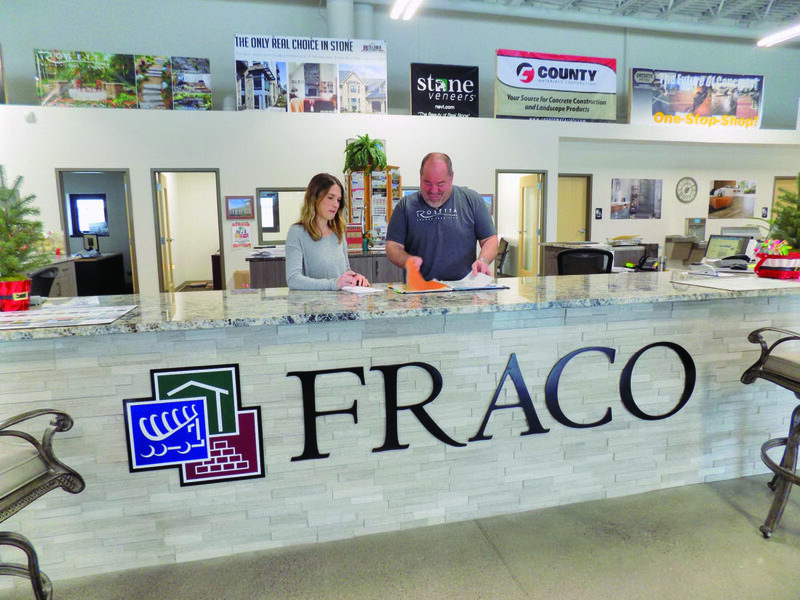 Fraco has its gorgeous new showroom along U.S. 41 in Marquette as well as its longtime yard/plant along Cherry Creek Road in Harvey where much of the product is stored. But don’t let the beauty of the showroom throw you: Fraco’s prices are totally competitive with others. The showroom offers a destination for anyone looking to design a project with the help of Fraco’s selection specialist, Chris Richards. 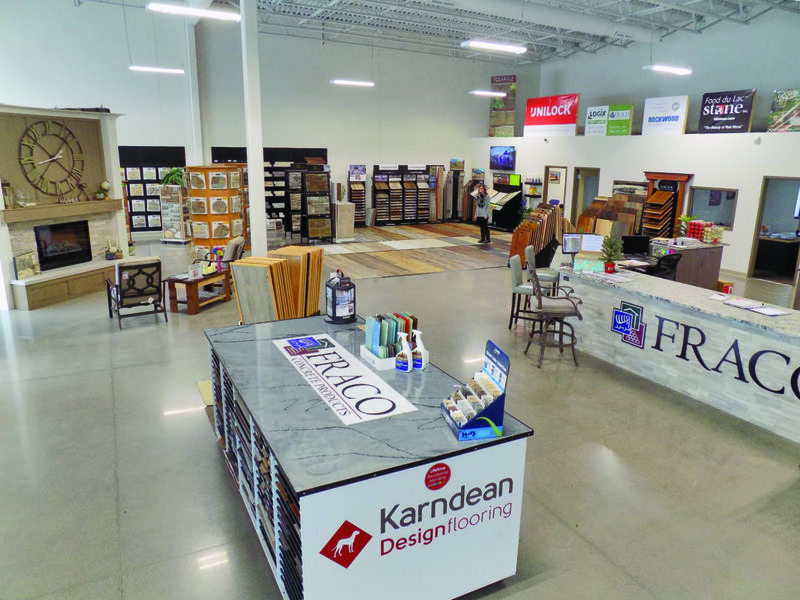 the beautiful new Fraco showroom located along U.S. 41 West in Marquette highlights just some of the many products the company carries — all at very competitive prices. The new showroom may be in close proximity with “big box” stores but that’s not Fraco’s style at all. 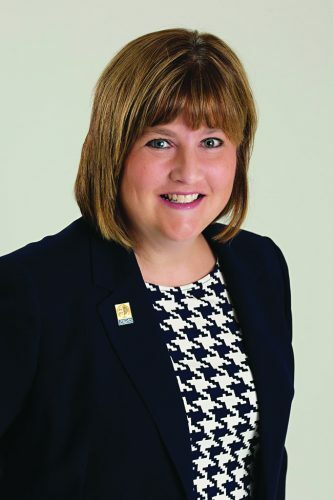 “We’re more of a boutique style but we price competitively with the big box stores, but add much more of a personalized service and have people with great knowledge in the field,” Missy said. 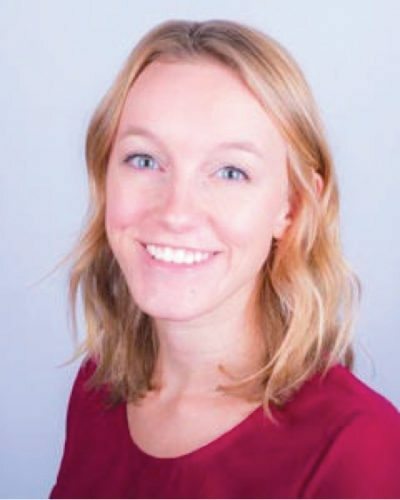 For instance, there’s Joe Burdick, who recently joined the Fraco team. “Joe came here after Matthews Floor Fashions closed. We snagged him up as we know Joe has 28 years in the business. He is a specialist in flooring and flooring installation,” Missy said. Fraco’s showroom is open from 8 a.m. to 6 p.m. weekdays and also from 9 a.m. to 3 p.m. on Saturdays. 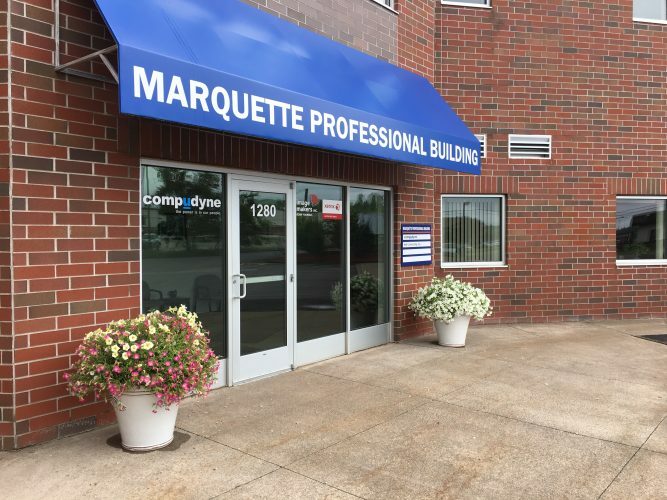 People are welcome to stop in any time or to make an appointment. Fraco carries a wide variety of the best brands including DalTile, Karndean, Mannington, Armstrong, Vitamax, Interceramic, Lint, Paramount, Wedi, Schluter, and Natural Stone and Cultured Stone veneers. And in the near future, Fraco will be able to offer installation service for tile and flooring. To learn more about Fraco and all it has to offer, call 906-249-1476; visit its website at fracoinc.com; or find them on Facebook by searching for Fraco Concrete Products. Or stop in the showroom to meet the crew that can make your home improvement dreams come true.